And then, of course, there is Skanksgiving II (surely Moon sponsored a few of these back at The Wetlands in the 90s?) 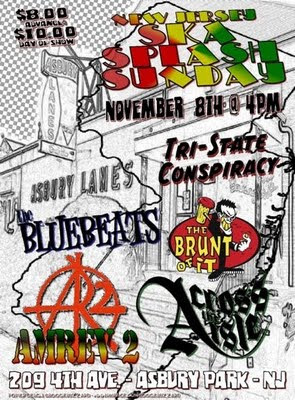 at the Starland Ballroom in Sayreville, NJ on Sunday, November 15. The bill features The Toasters, Mustard Plug, The Pilfers, Voodoo Glow Skulls, Deal's Gone Bad, Hub City Stompers, The Speakeasies, Avon Junkies, and Explosive Sheep. This is an all-ages show with doors opening at 2:30 pm. Though it goes through droughts of serious un-hipness, ska will never die: It’s just too fun and infectious to give up for good. (Plus, there are always fresh legions of impressionable high-school kids who don’t know how uncool this stuff is.) Hence the continuing success of The Toasters, one of the best ska acts to do right by the Jamaican style since the heady days of England’s Two-Tone scene. Staying true to the music’s all-inclusive spirit, the group plays the kind of ska that has been ripped into by countless punk acts over the years—but no amount of misrepresentation can mess up the infectious up-down skank that Toasters songs basically require. Decent write-up--but some of the coolest people I've had the pleasure to know are into ska. Am I so out of it that the un-hip in my orbit just seem cool to me? Or is it that the alterna/indie-kids are just so damn snotty/greater than thou that they think their poop don't stank? Duff Guide to Ska: How is the recording of the new album going? Is the ATA sound changing dramatically from what was captured on The Mercy EP? Who is producing it and which studio are you using? Jay Pintar (trumpet): Recording the new album has been a steady process. We've hit a few hangups...illness with the seasons changing, and it's always a challenge to coordinate six schedules. Still, what we have thus far is sounding really great, and we're crazy pumped for it. The sound itself, I don't feel, has changed that much since we recorded Mercy. Some of the tunes we're recording we've been playing for a year or more, so they're pretty much second nature to us at this point. However, we've had Aaron, our new guitarist, since August, and it's been great to hear someone else's new take on material. He's definitely a rocker, he takes liberties that the others did not. He also built his own pedal board, so there are will be a lot more guitar effects on the new recording. Also, when we recorded Mercy in early '08, I was the only horn player at the time, so I recorded three-part horns. Jackie, our alto sax player, came along five months later. It's nice to be laying down tracks with her by my side. This new recording, in light of these delightful economic times, will be self-produced and recorded in our drummer's home studio. JV [John Vergara], our drummer, has education and experience in audio engineering, and between the six of us, we acquired everything we need to rehearse and record without breaking the bank. We dig it. Megg Howe (vocals): Recording is so much fun! I really enjoy the process, 'cause you can really appreciate everyone's "part" in each song. Sometimes you forget to really listen to what each instrument sounds like, so when it's stripped down by itself sometimes I say, "Oh, wow, yeah, that's what you're playing there?! It's so brilliant!" So we're all in this basement recording together, so it's funny when I start recording vocals and I take off my headphones--at least two members say they had no idea what I was saying before. It's important for everyone to really hear the lyrics--then they can put my understanding of the idea behind the song and they can feel it too. DGTS: Will the album be self-released or have you been shopping it around to some labels? JP: We'll definitely do some shopping. It really depends on whether we end up recording a full-length album or another EP. MH: Yeah, hopefully it'll create a buzz and, you never know, it could be really beneficial to have some backing! DGTS: How did the Checkerboard Kids show taping go? When will your episode be broadcast? JP: The taping went really well! A couple of us were a little under the weather, but all things considered, it went really well. We also had a handful of fans and friends who made it out to the studio to support us! We really appreciated that. Still no word on when it's going to air [update: it will be on 10/27/09 at midnight! ], but there are a couple of video clips from it on YouTube. Here's one of the clips. MH: Taping was a blast and Phil [Esquire] is adorable. But I was so, so sick, I was getting over a cold/sore throat and losing my voice earlier that week. So here and there you can hear my voice cracking, 'cause I was really pushing it. I was upset that I couldn't give it 100%. DGTS: What does "Across the Aisle" refer to? Seriously, though...it's a new take on the political expression. Ordinarily, it refers to the difference between Democrats and Republicans, in that they're so far removed from the other party's interests and ideals that they're almost literally "across the aisle" from one another...yadda yadda... We reinterpret it to mean, quite basically, diverse. When it comes to our backgrounds, ethnicites, orientations, genders, religions, and especially our musical interests and experiences, we're all over the map. So, although we're "across the aisle" from one another, we've come together to make our own music. JAY: Megg, what color are your eyes? JAY: We need a band gimmick. Maybe we should all DRESS in green. MEGG: I like KELLY green. JOE: I'm WEARING kelly green! I'm sure I paraphrased. Ultimately, it is, quite simply, a gimmick. Hopefully, we'll be remembered for our music, but if someone should say, "Oh yeah...aren't they that band with the green and stuff..." then we've done some good. And we started with the neckties just this year. MH: Haha! Yeah, I forgot about that. Nice, Jay! That's totally 'howe' it went down! But seriously, everyone looks good in kelly green! DGTS: I think I read that you and Megg both have backgrounds in the theater--how does this influence/affect your performing? Do you approach it from the perspective of playing out live or is it more about putting on a dramatic "show"? JP: You read correctly, sir! Megg and I each have backgrounds in theatre. In fact, that's how we met. In spring of '06, we were in an original rock musical together. Long story short...the show was not the best, though we did get to revive it in concert form at CBGB's, shortly before it closed for good. Megg and I reconnected about a year later, and that's when the band really started to form. In terms of how it affects performing, I'd say we feed of one another's energy alot, and we're very comfortable onstage together. People often think we're a couple! I don't think it's about putting on a "dramatic show" necessarily, at least not for me. Though it's an awful lot like being in a play, in that everyone has their role, you've rehearsed, and you try to find real moments. We've a few bits of choreography in several of the songs, and we do other other things like call and response and hand claps and whatnot, but they're mostly because we're a bit dorky and think it's fun, not because we want to be dramatic. MH: Oh man, that musical was a nightmare, but a blessing because I met Jay. We stayed friends and eventually I convinced him to start ATA with me! I honestly can't imagine not having him as my side-kick on vocals, I truly don't feel like I'm the only lead vocalist. We're such a team, I always say we're a two person fronted band! We need him for sure--he's a better singer than me! DGTS: Which are your favorite ska bands--and which ones have had the most influence on ATA? JP: Favorites for me...top four: The Specials, The Slackers, The Toasters, and Fishbone. In terms of influence, I'm sure it's different for everyone in the band. I know Ashray, our bass player, is really into Rancid and Operation Ivy. For Jackie, it's Hall & Oates all the way (can you blame her?). For me, I listen for horn arrangements and vocal harmonies in any and all bands, not even necessarily of the ska variety. Oh, and I love Dance Hall Crashers...so fun. MH: For me, since high school I got into No Doubt and just had to know who they all were influenced by and what they were listening to. I was so obsessed with their sound and this whole ska scene that I had never heard about. I found out they were friends with Fishbone. Oh, and I got into Spring Heeled Jack, so those three bands since 1995 have really meant a lot to me. I still listen to SHJ's Static World View! It's such a great album. Also it's come full circle, knowing that you worked at Moon Ska Records with them is so crazy to me, I'm just so honored that you're diggin ATA!! Without these three bands there probably wouldn't be an ATA! DGTS: And who do you like playing with from the NYC ska scene? Is it my imagination, or are there starting to be a ton of ska bands around here again? Yes! There are more popping up everyday. Some are not necessarily ska, but reggae and various sub-genres. 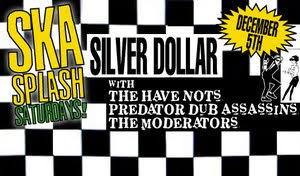 Also, since we're not purely a ska band, the fact that we've punk and reggae elements opens us up to line-ups with other bands/artists outside the ska world, as well. 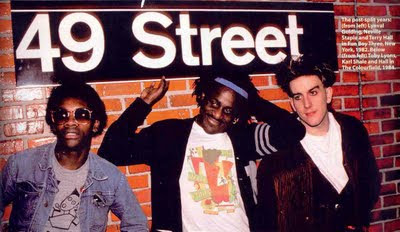 MH: We've also played with The Pilfers and New York Ska Jazz Ensemble. Although they're from Jersey, we've done a few shows with Hub City Stompers (and have upcoming shows with them). JP: I'd be lying if I said I've never done it. In college, especially, everyone and their mother did it. Now that the shoe's on the other foot, I just will not do it. I don't condone it it any way. Bam. MH: Yes, totally have done it, but I guess I'm on the fence. Now that I'm tryin' to make a living at it, of course I want to make some profit. But I also, at this point in the game, I just want more fans, ya know. I want to spread the ATA sound!! So, if kids hear ATA and want to share it with friends, I say the more the merrier. I want the world to have ATA! 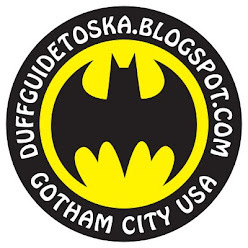 DGTS: Any ATA plans for the coming months that you'd like to share with The Duff Guide to Ska readers? JP: Two Brooklyn shows in November: Saturday, November 7th @ the new Knitting Factory and Saturday, November 28th @ Trash Bar. Keep checking our sites: MySpace, Facebook, Twitter, YouTube and atamusic.com for all things ATA! According to Phil Esquire, the ATA Checkerboard Kids episode will be airing on MNN Time Warner Cable Channel 34 in NYC at midnight on Tuesday, October 27th. This is viewable live around the world, streaming on http://mnn.org. 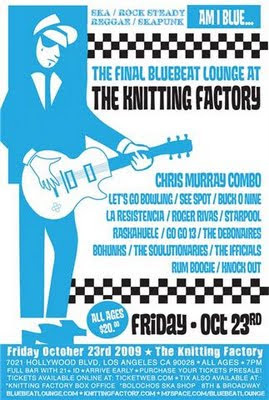 Even though The Duff Guide to Ska is somewhat New York City-centric, we're really sad to see Chris Murray's Bluebeat Lounge coming to an end--after seven years!--with the closing of The Knitting Factory Hollywood. The final show line-up looks amazing and it's sure to be a bittersweet experience for all. Bands that are part of an underground music scene--such as ska--obviously need a musical home, so to speak, to find and cultivate their audiences; showcase new and burgeoning talent; hang out socializing, networking, and drinking; and generally keep the whole thing moving forward. While ska bands in NYC have been lucky enough to have a host of welcoming venues to play (Danceteria, Tramps, Peppermint Lounge, The Gas Station, The Ritz, and New Music Cafe to name just a few--all long shuttered), clubs like CBGBs (in the 80s), Wetlands (90s), and The Knitting Factory (2000s) were/are vital to the existence of the scene. And despite any shortcomings, these particular clubs--as well as the ones wherever you live that support ska--deserve mad props for letting the ska people in to do their thing on a regular basis. 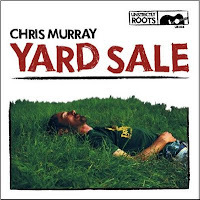 While we're on the subject of Chris Murray, we should note that he has a new album out called Yard Sale on his Unstrictly Roots label. Yard Sale sports 20 tracks recorded during the 15 years transplanted Canadian Chris Murray has called the City of Angels his home and features collaborations with such ska stars as Lloyd Knibb, Lloyd Brevett and Cedric Brooks of The Skatalites, Brian Dixon and Jeff Roffredo of The Aggrolites, and Vic Ruggiero and Jay Nugent of The Slackers. I don't think the old maxim that "all press is good press" applies to a hatchet job like this. I mean, why bother writing anything at all if you're going to be this hostile and ignorant? Columbus brought smallpox to the New World. Enola Gay brought the A-bomb to Hiroshima. And The Toasters brought third wave ska to the United States. In one of the great musical disasters of the 20th century, ska put trombones into the hands of jilted punks world wide. After a thriving first life in Jamaica and England as a legitimate musical art form, ska turned lemon when it hit the domestic shores, and became a fashion statement that, at the least, swapped grimy leathers out for a vest and fedora. And tonight, The Toasters are playing the Triple Rock. Which means that attendees will do well to stretch out their skanking muscles which likely haven't been used in over a decade. Yes, the Toasters spawned domestic popularity for a genre that would go on to give us the Mighty Mighty Bosstones, Animal Chin, Skankin' Pickle, and numerous other musical unforgivables. Hey, let's give credit where credit is due--they haven't given up, even if their peers and former fan base have. They kept right on skanking when the ska bubble burst somewhere near the late 90s. Kept right on tootling on the trumpet and trombone, being the rudest of all rude boys. Well, perseverance is a virtue of its own, we suppose. Really, who needs the "music press" when a) they don't really know anything about the past and present of the music/band/scene that they are smearing; and b) seem to be advocating that an entire genre of music--and the musicians playing it--piss off and die? This guy's editor should have pulled the plug on this piece of crap. In contrast, apart from this being a positive preview for The Toasters' gig in Milwaukee, it's obvious that this writer knows something about his subject. 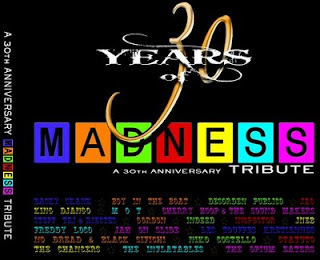 Sure, there have been a host of serviceable (Utter Madness) to great (Complete Madness) Madness compilations released over their 30 (!) year reign--so what makes Total Madness worth the blood, sweat, and tears of one's hard-fought earnings? For starters, Total Madness corrals all of the tracks that comprised their record-breaking run of twenty Top 20 singles, from 1979's "The Prince" to 1985's "Yesterday's Men," plus a few more key releases (though I would have swapped "NW5" for "Dust Devil" to represent The Liberty of Norton Folgate). 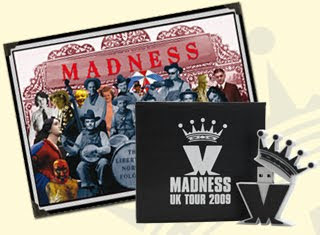 It's almost unimaginable in this dark age of illegal music file sharing, but it serves as a testament to the band's great popularity: Madness sold a stunning 6 million singles in the 80s. 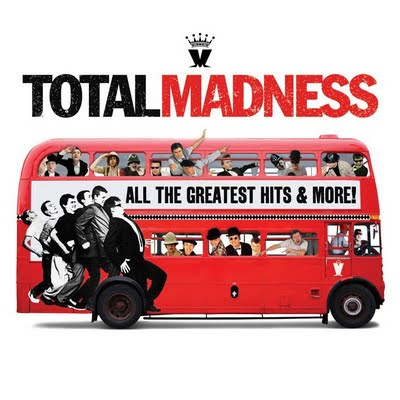 If you're a Nutty Boy newbie (or simply weren't paying enough attention back in the day) Total Madness is an extraordinary introduction to the band, capturing their early ska hits; their progression into Motown-music hall-Britpop territory; and eventual (though not permanent) shedding of their ska skin for pure pop perfection. For someone whose teen years coincided with the first half of the 80s, Madness' singles will always be linked to certain moments in time, but like all truly classic pop songs, they sound fresh and vital no matter what the context or when you hear them--they defy all transitory musical fads and escape being encased in the amber of memory and nostalgia. Oddly enough, the tracks here are not presented in chronological order--the comp is bookended by two ska hits guaranteed to pack the dancefloor: "One Step Beyond" (1979) and "Night Boat to Cairo" (1980)--but what is most striking is how this manifests Madness' consistently strong songwriting and performances over the decades. 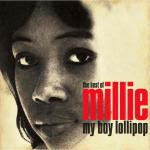 If you didn't know anything about the band, you'd be hard-pressed to sort out which songs were recorded when (some of which, no doubt, is due to the aural sheen applied by their ace pop producers, Clive Langer and Alan Winstanley). It's also worth noting the melancholy tone and emotional depth of many of their hits (see "My Girl," "The Sun and the Rain," "Cardiac Arrest," "Grey Day," "Michael Caine," etc. ), something surely lacking from today's Billboard pop charts. To appeal to the die-hard Madness fans and completists, Total Madness also sports a DVD of all of their wacky Monty Python/Benny Hill/Mr. Bean-ish music videos (one for every song on the accompanying CD except for "Madness," which was never released as a single), which beats the crap quality of YouTube or your disintegrating VHS tapes hands down. While this DVD will not play in North American DVD players, it is viewable on your computer (I had no problem opening it up on my Mac...). 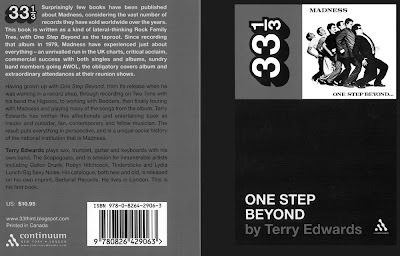 Union Square Music (via their Salvo label) is also reissuing an expanded version of Madness' debut album, One Step Beyond (to be followed, one assumes, by the remainder of their catalogue from the first half of the 80s). So while the hit singles are collected here for your listening pleasure, there's loads more Madness brilliance to be mined and treasured on their albums proper. Hoi Polloi Skazine has just posted the ultimate Halloween ska playlist (200+ tracks!). If I ran a radio station, this is what I would use for programming on All Hallow's Eve. Go eyeball it and see if John missed anything (and let him know)! Also, don't forget to check out HP Skazine's October Ska Almanac. Oh, by the way, the illustration to the right shows the disembodied head that comes to haunt you if you don't mend your illegal music file sharing ways, kids... Sweet dreams. 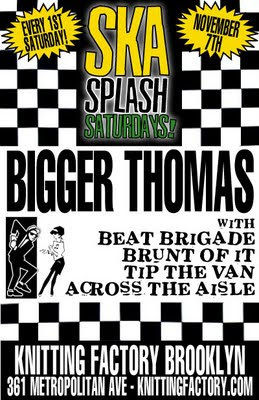 Looks like Shay is ramping up the ska content at The Knitting Factory again (god bless him)--the November 7th Skasplash will feature Bigger Thomas headlining, supported by a reformed Beat Brigade (! ), Brunt of It, Tip the Van, and Across the Aisle. 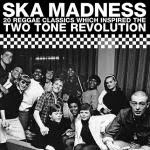 We need to briefly revisit the recent Spin article on 2 Tone one more time. That was a shockingly good piece of music journalism--particularly for a relatively mainstream American music mag (gonna have to check it out more often when I'm at the magazine racks at Barnes & Noble). "Well, we were all destroyed by the New Romantics. All of a sudden our utilitarian gear looked plain next to these dandies. People wanted music as escapism again. There was a point where you'd have Elvis Costello, The Jam, and the Beat on Top of the Pops saying, 'Here's a brand new song about unemployment.'" Ouch. Makes me want to burn my Human League LPs. Also, any article that starts with a nod to one of my favorite ska-referencing scenes in moviedom--the part where the black punk in Sid and Nancy's circle shows up resplendent in his new tonic suit and pork pie and declares "I don't wanna be a punk anymore. I want to be a rude boy, like me dad"--is alright with me. Duff Guide to Ska Interview: Bucket of The Toasters - Ska is Dead/Is Ska Dead? The Duff Guide to Ska: How was the gig in Birmingham playing with Roddy Radiation and Neol Davies [Toasters' bassist Andy Pearson is friends with both]? Bucket: Well, unfortunately Roddy had to bag because he had the flu, but playing with Neol was awesome! He jumped up in the encore to play Toasterized versions of "The Selecter" and "On My Radio." After the show, I asked him when the last time was that he played those tunes out live. 1994 was the answer--incredible! Great gig that night and maybe we will be able to feature Neol again on some gigs in 2010. DGTS: The UK ska scene seems to be kickin’—with a lot of really politically active bands (Resolution 242, Dirty Revolution, etc.). Is this what you found on your recent UK tour? Bucket: Well for sure there are a lot of bands and I'd include King Blues, Dub City Rockers, and the reformed King Prawn on that list. However, it appears to me that there isn't really the same kind of network that exists in the USA. There are some great spots to play and a lot of people into the music, both new fans and from the old school, but it appears to me that the scene could benefit if everybody pulled together in the same direction! DGTS: Have you been able to/wanted to catch any of The Specials or Madness shows? Bucket: No and yes. The Specials are making some waves and I hope that they can cross the Atlantic next year. I was surprised that there wasn't more buzz on the Madness record, but having it leaked to the P2P sites before the official release didn't help--there is so much goodwill out there for those two bands that I hope that it can lead to a general upsurge in the scene. 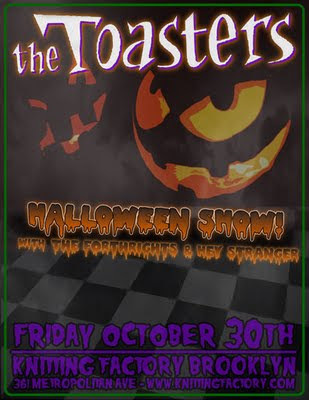 DGTS: What will The Toasters’ line-up be for the second half of the Ska is Dead Tour this fall? Bucket: Myself; Andy Pearson (The Beat/Roddy Radiation) on bass; Jesse Hayes (Westbound Train/Void Union) on drums; Sander Loog (Rude Rich/Beatbusters) on sax; and Cooper Barton (newbie) on trombone. We have been working with Arjen, Remco and Dim from Rotterdam Ska Jazz in Europe. DGTS: Why is there no NYC date on Ska is Dead 4? No room at the inn, so to speak? Bucket: Apparently the date fell on the wrong weekend. Let's not forget that most of the decent clubs in NYC are now closed. So places like B.B. King's, Irving Plaza, etc. get to call the shots. 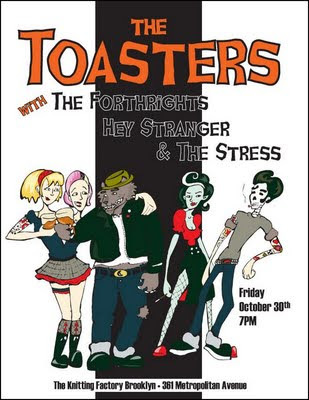 It actually works out for me, as The Toasters get to play a smaller club night at the new Knitting Factory in Brooklyn, but SID got squeezed out. DGTS: Is ska still dead in the US (to me it seems like it is doing pretty well as an underground scene—kind of like it was around ’92 or ’93)? Bucket: Down, but not out. I'd say yours is a fairly accurate frame of reference, although I would certainly like to see more bands coming up through the ranks, as it were. DGTS: Are there any plans to record a new Toasters album soon? Bucket: Not soon. I am still of the mindset that resources are better spent developing the touring and that's why we are continuing to play all those places that other bands cannot reach! For example, the recording/pressing expenses for One More Bullet have still not been recouped. So that gives you an idea of how far the sales of recorded music have fallen. The piracy rate here in Spain, for example, is 97% and that gives you an idea of what we are up against. My view is that you have to allow individual releases as much breathing space as possible, and it's a mistake to crowd releases together. Bands that cannot get on the road are really looking down a dead end street these days. Having said that, we do have a couple new tunes that will be recorded soon as part of a vinyl project in the USA. DGTS: The expanded/enhanced re-issues of The Toasters albums on Megalith continue…Hard Band for Dead is coming out as 2 Tone Army soon—are there unreleased tracks, remixes, etc. in The Toasters’ archives for New York Fever and Thrill Me Up? Bucket: Yeah, that's already out in the UK. Jeremy [Patton] did a great job digging out the enhanced tracks and making new artwork. There are indeed unreleased tracks for New York Fever. As for Thrill Me Up, that had already been enhanced [and released on Moon in the 90s], so we will have to dig deeper into the archives for that release. We are putting those back catalogue, out-of-print, titles out at a rate of one or two per year, and eventually we will have everything repackaged at Megalith. DGTS: The Toasters have been touring internationally since, what, 1989? Is there any place left on Earth that you haven’t played, but wanted to? Bucket: Australia. We still need to find a bona fide promoter there. DGTS: You were quoted recently as saying that you’d only stop touring if you didn’t find it “fun” anymore. What keeps you coming back for more? A general wanderlust? The emotional charge/reaction you get from playing before an audience? Free beer? 25th Morgantown, WV: 123 Pleasant St.
For Ska is Dead 4 tour dates, click here.